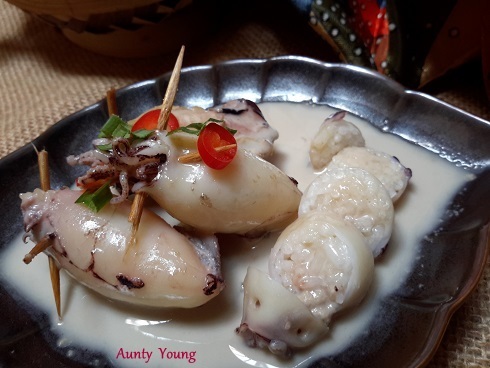 Arrange the stuffed squids into the pan. Simmer(about 8 minutes) without any water at low flame until they are cooked. Pour in the water, julienned ginger, chopped shallot and frenugreek/halba, cook with medium flame for 10 minutes, add in palm sugar/ gula Melaka, stir evenly. Season the gravy with salt and sugar to the desired taste. 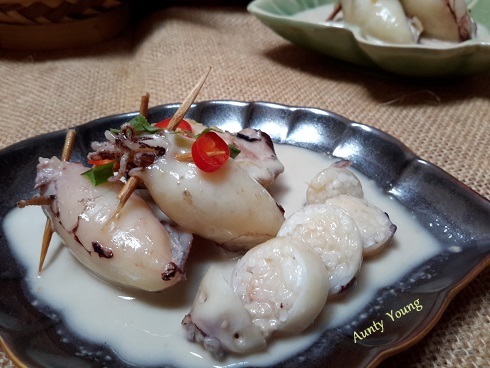 Finally add in cooked squids and concentrated coconut milk, cook with low flame until coconut milk is boiled. 1. Soak the glutinous rice for 30 minutes, drained it and mix with salt evenly. 2. Remove the squid organ and clean it. 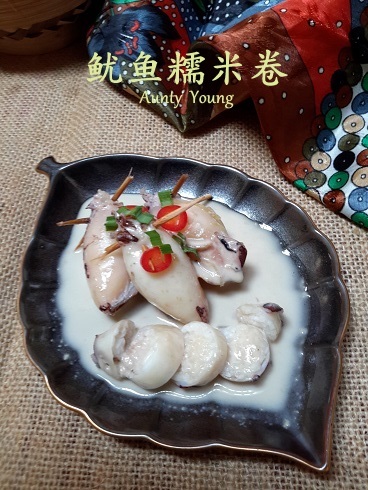 Stuffed in the glutinous rice ,fixed back the squid's head part with toothpicks. 3. 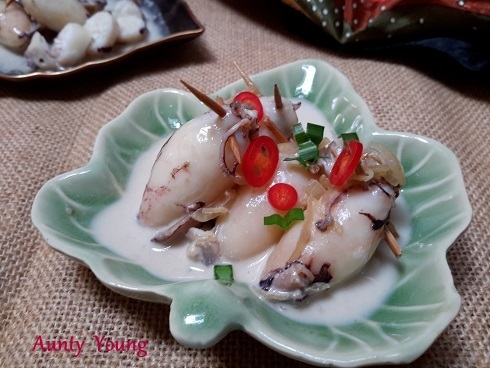 Arrange the stuffed squids into the pan. Simmer (about 8 minutes) without any water at low flame until they are cooked. 4. In a pot, pour in the water,julienned ginger, chopped shallot and frenugreek/halba, cook with medium flame for 10 minutes, add in palm sugar/ gula Melaka, stir evenly. Season the gravy with salt and sugar to the desired taste. 5. 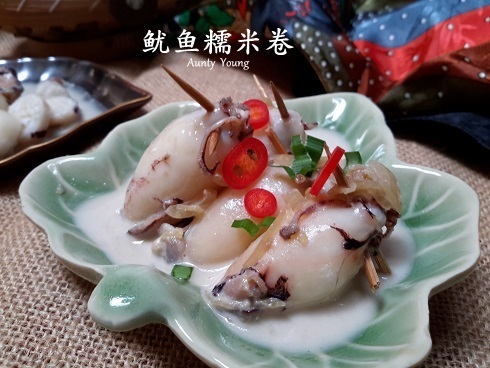 Finally add in cooked squids and concentrated coconut milk, cook with low flame until coconut milk is boiled. Serve while hot. 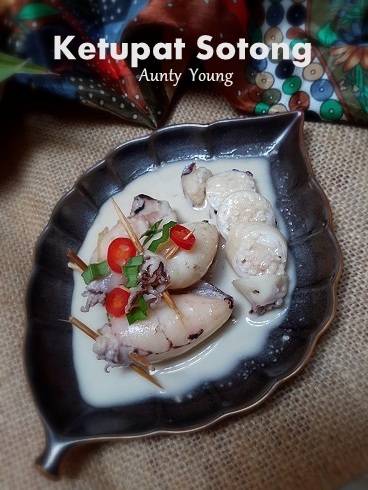 Hi Aunty Young! I know this is tasty. My late grandmother used to cook it, but not often.